Bellemont, Ariz. – The Arizona Army National Guard’s training site, Camp Navajo, welcomes a new commander during a ceremony here, July 10. 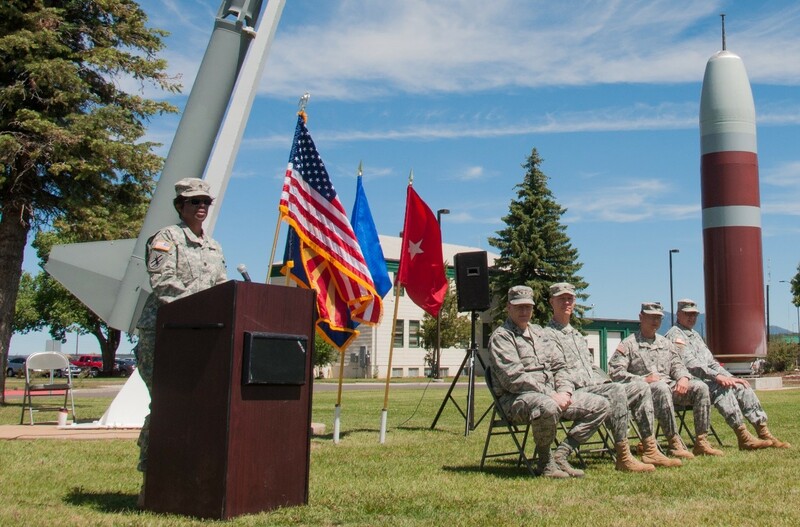 Lt. Col. Anita Vinson assumes command of Camp Navajo garrison component after completing her prior assignment as the Chief of the Sustainability Team for the Army National Guard. Vinson, an Engineer Officer,comes to the command with experiences ranging from a combat heavy construction company at the state level to construction programming at the national level. She was commissioned in the Army National Guard through the Georgia State Officer Candidate School program. She also received a Master’s of Science in Management from the University of Maryland, University College. Camp Navajo Garrison Operations supports training operations, industrial storage, community initiatives, and the MWR (Moral, Welfare and Recreation) program for the Arizona National Guard.Camp Navajo's Garrison Operations provides logistics, engineering, administrative, fire, and security support enhance the training and storage missions.